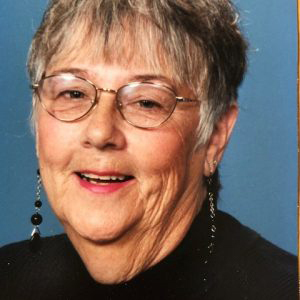 Donna L. Sawtell, nee Gettle, 80, of Hanover Park, IL, for 52 years, passed away Wednesday, April 10, 2019. Beloved wife of the late William Frank Sawtell Jr., Loving mother of Patricia (Richard) Fisher, Robert Sawtell and Donald (Steven De Korne) Sawtell. Cherished grandmother of Haley, Brianna, Taryn, Jessica and Jennifer. Donna was born June 20, 1938, in Marshaltown, IA to the late Donald and Lillian Gettle. Private services will be held at a future date. In lieu of flowers, memorials will be appreciated to Tails Humane Society, 8409, 2250 Barber Greene Road, DeKalb, IL 60115 or Alexian Brothers Hospice Residence, 901 Martha Street, Elk Grove Village, IL 60007. Online condolences may be left at Ahlgrimfuneral.com. Funeral info 847-882-5580.